of Petra, carved into the rock thousands of years ago. North of the country and the lowest point on the Earth is the Dead Sea, where you can effortlessly float on the surface due to the high salt content. Follow in the footsteps of Lawrence of Arabia as you visit the windsculpted hills of Wadi Rum where scenes from the famous film were shot. Our escorted tour offers superb sightseeing and will show you the true beauty of this ancient country, highly recommended. 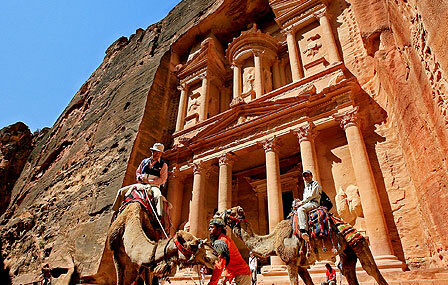 Visit Petra from Amman, the Red Sea resort of Sharm El Sheikh or part of our Jordan Explorer tour. The land that became Jordan forms part of the richly historical Fertile Crescent region. Its history began around 2000 B.C., when Semitic Amorites settled around the Jordan River in the area called Canaan. Subsequent invaders and settlers included Hittites, Egyptians, Israelites, Assyrians, Babylonians, Persians, Greeks, Romans, Arab Muslims, Seljuks, Christian Crusaders, Eyyubids, Mongols, Mameluks, Ottoman Turks, Circassians, and, finally, the British.It is worthwhile to note that from the Kingdom of Israel period until 1921 the area known as Transjordan was a province of Palestine (the name given to Israel by the Roman Empire). Before that time it comprised, according to the Book of Numbers, the Kingdoms of Moab, Ammon and Edom. When the land was captured by the Israelites, they renamed it Transjordan and regarded as part of their Kingdom, although it had a relegated legal status and was held by Israel in lesser esteem than the provinces of Judea and Samaria. 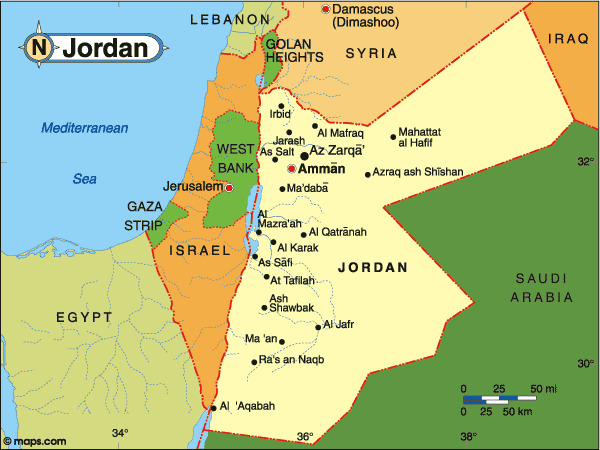 Jordan, officially the Hashemite Kingdom of Jordan, is an Arab country in Southwest Asia spanning the southern part of the Syrian Desert down to the Gulf of Aqaba. It shares borders with Syria to the north, Iraq to the north-east, the West Bank and Israel to the west, and Saudi Arabia to the east and south. It shares control of the Dead Sea with Israel and the coastline of the Gulf of Aqaba with Israel, Saudi Arabia, and Egypt. Much of Jordan is covered by desert, particularly the Arabian Desert; however the north-western area, with the Jordan River, is regarded as part of the Fertile Crescent. The capital city of Amman is in the north-west. During its history, Jordan has seen numerous civilizations, including such ancient eastern civilizations as the Akkadian, Assyrian, Babylonian, and Persian empires. 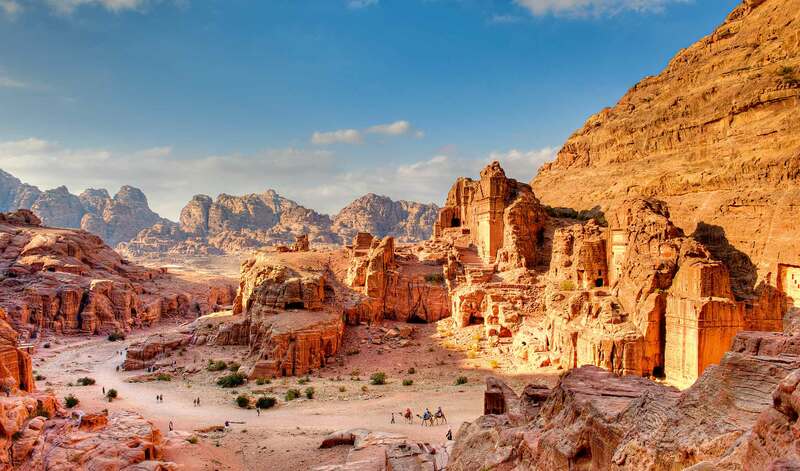 Jordan was for a time part of Pharaonic Egypt, and spawned the native Nabatean civilization which left rich archaeological remains at Petra. Cultures from the west also left their mark, such as the Macedonian, Roman, Byzantine, and Ottoman Turkish empires. Since the seventh century the area has been under Muslim and Arab cultures, with the exception of a brief period when the west of the area formed part of the Crusader Kingdom of Jerusalem and a short time under British rule. The majority of Jordan’s 4.4 million people are Arabs descended from the various tribes that have migrated to the area over the years from all directions. In addition, there are Circassians, descendants of Muslim refugees from the Tsarist Russian invasion of the Caucasus in the 19th century, and a much smaller group of Chechens. Jordan also has a small Armenian population. More than 92% of Jordanians are Sunni Muslims, and about 6% are Christians who live mainly in Amman, Madaba, Karak and Salt. 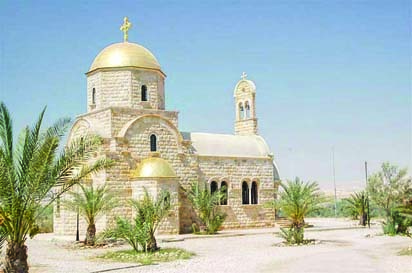 The majority of Christians belong to the Greek Orthodox Church, but there are also Greek Catholics, a small Roman Catholic community, Syrian Orthodox, Coptic Orthodox, Armenian Orthodox and a few Protestant denominations found mostly in Amman. Several small Shi’a and Druze populations can also be found in Jordan. Jordan values its diverse population, and has consequently provided for the cultural rights of all its citizens. All of Jordan’s ethnic and religious groups have full freedom to form and participate Ain their own clubs, associations, schools or places of worship. Ethnic groups are also free to teach their own languages. The tradition of tolerance and appreciation for diversity has long been a hallmark of Hashemite Jordan and it has helped to provide a stable social foundation on which to build the country. The cuisine varies, although most restaurants have a mixed menu which includes both Arabic and European dishes. Dishes include meze (small starters such as humus, fool, kube and tabouleh) A variety of kebabs; Mahshi Waraq ‘inab (vine leaves stuffed with rice, minced meat and spices) Musakhan (chicken in olive oil and onion sauce roasted on Arab bread) and the Jordanian speciality mensaf (stewed lamb in a yogurt sauce served on a bed of rice), a dish which is normally eaten with the hand. Sweets are very popular and include: Baklava (pastry filled with nuts or honey) Kanafa (pastry filled with nuts or goats cheese) Ataif (small fried pancakes filled with nuts or cheese and traditionally eaten during Ramadan) and mohallabiya (milk-based pudding perfumed with rose water or orange). Drinking Arabic coffee is a ritual. Coffee tends to be very strong and is served in small cups (with plenty of coffee grounds at the bottom).Local beer, wine and other types of alcohol are served in most restaurants and bars, except during the fasting month of Ramadan (non-Arabic nationals can drink alcohol only in hotels during Ramadan). By road: Main roads are good (there are nearly 3000km (1900 miles) of paved roads in the country), but desert tracks should be avoided. It is important to make sure that the vehicle is in good condition if travelling on minor roads or tracks. Take plenty of water and follow local advice carefully. In case of breakdown, contact the Automobile Association. Traffic drives on the right. Speed limits are 60kph/38mph (cities), 80 kph/50mph (country roads) and 120kph/75mph (motorways). There are frequent passport controls along the Red Sea and travellers are advised to have their papers ready.By bus:Services are efficient and cheap. JETT bus company operates services from Amman to other towns and citiesin the country. There are daily services to Aqaba and Petra. By taxi: Share-taxi service to all towns on fixed routes is also available for private hire. Share-taxis to Petra should be booked in advance owing to demand. Car hire: Avis and four national companies operate services in the main towns, including Amman and Aqaba, available also from hotels and travel agents. Drivers are available for the day.Documentation: National driving licences are accepted if they have been issued at least one year before travel. However, an International Driving Permit is recommended. Visitors are not allowed to drive a vehicle with normal Jordanian plates unless they have a Jordanian driving licence.